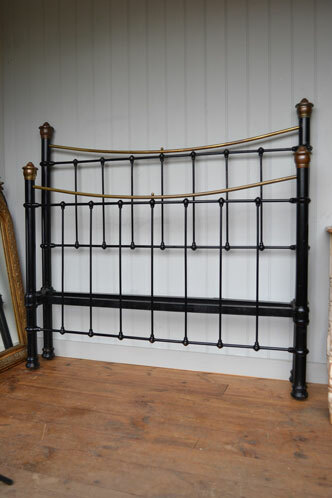 NEW in Edwardian Brass & Iron double bed in original antique paint with really nice characterful wear. 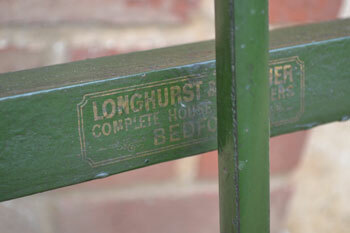 Original olive green paintwork and lovely mellow brass work. 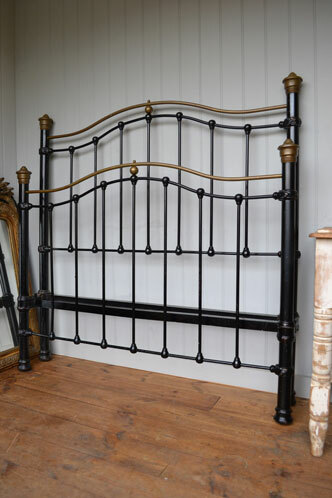 NEW in Edwardian Brass & Iron double bed in original antique paint with really nice characterful wear. 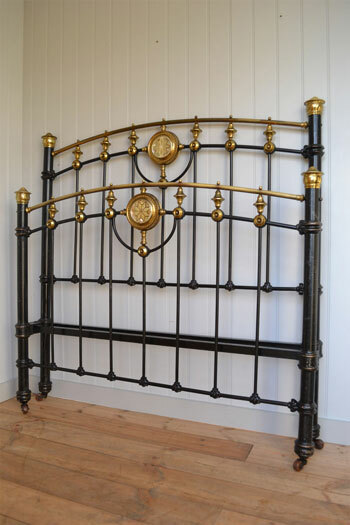 Original black paintwork and lovely patina to brass work. 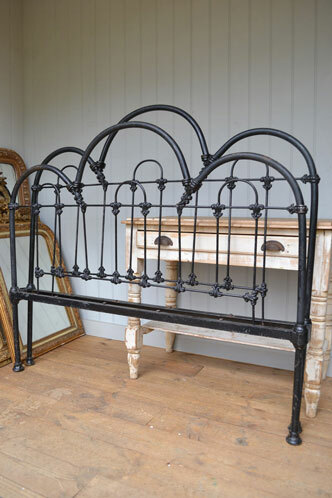 NEW in Lovely Victorian Brass & Iron cottage double bed in original antique paint with lots of characterful wear. 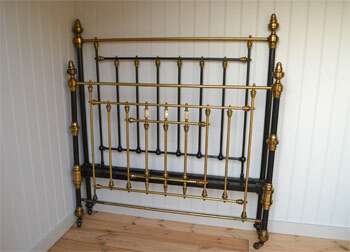 NEW in Victorian Brass & Iron Art Nouveau double bed with antique paint and unpolished brass, lots of characterful wear. 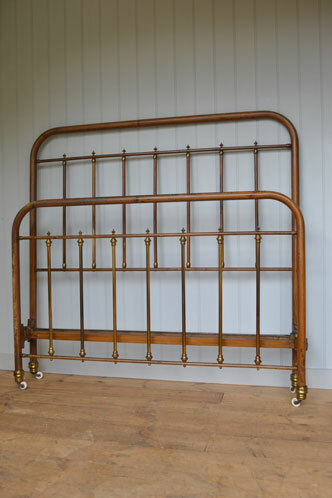 Attic found Victorian brass double bed with original antique patina . Sympathetically cleaned & ready for use. 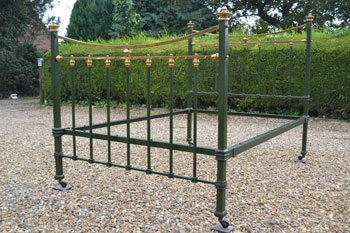 Fabulous antique French brass & iron double bed in original antique painted finish. 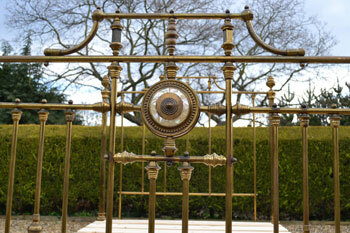 Sympathetically cleaned and waxed. 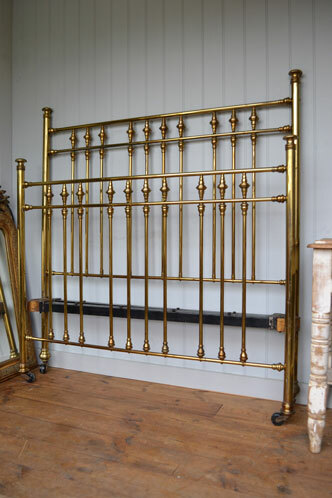 Rare Victorian Brass & Iron fender end double bed in original antique finish. Sympathetically cleaned and sealed. 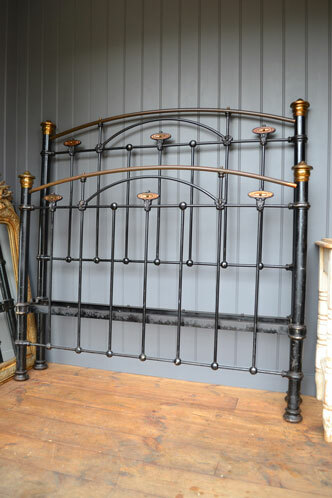 Lovely late Victorian Brass and Iron double bed in original antique finish. Sympathetically cleaned & ready for use. 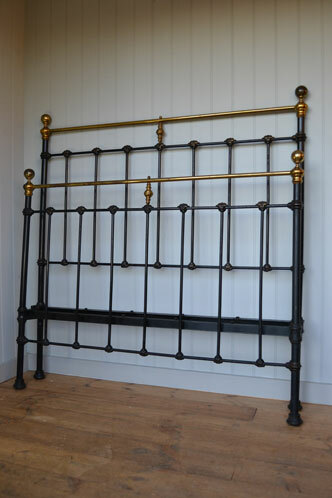 Classic late Victorian Brass and Iron double bed in original antique finish. Sympathetically cleaned & ready for use. 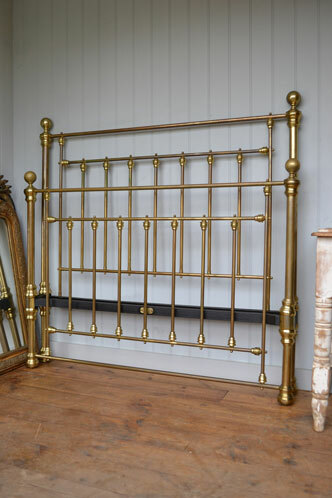 NEW in Vintage brass double bed by Peyton & Peyton, Birmingham. Sympathetically cleaned & ready for use. 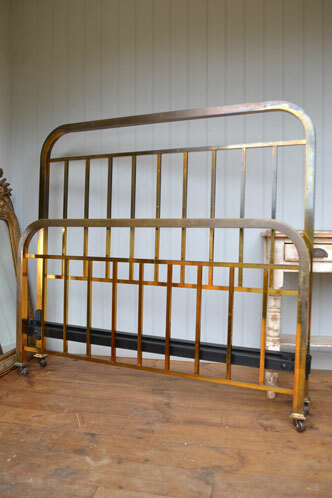 Good quality French Art Deco brass double bed which has never been polished. Sympathetically cleaned and ready for use. 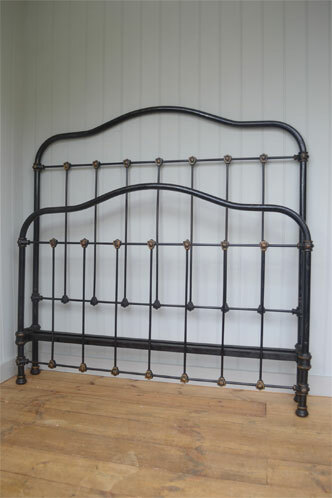 Lovely characterful Victorian 3 hoop iron double bedstead in original old shabby chic antique painted finish. 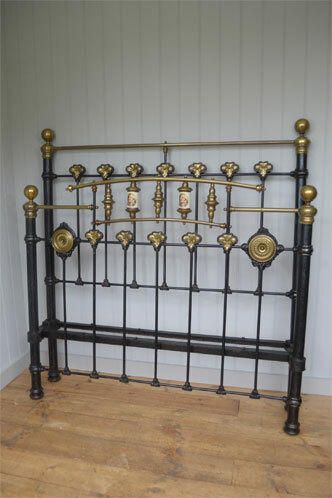 Lovely characterful Victorian brass and iron double bedstead in original antique painted finish with original brass caps. 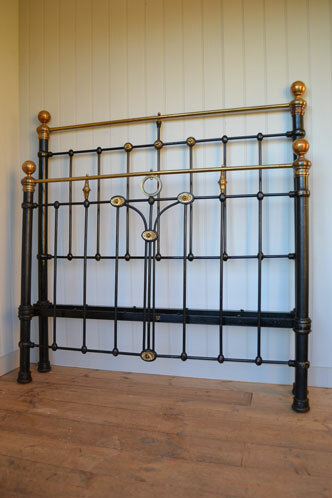 Lovely characterful Victorian brass and iron double bedstead in original antique painted finish with remains of gold detailing. 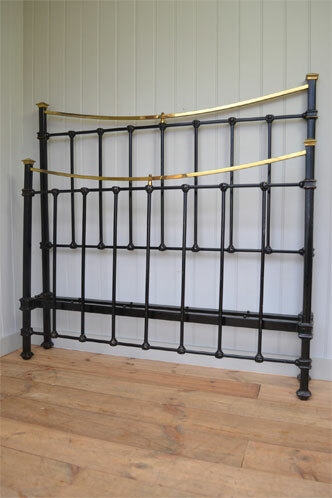 Edwardian brass and iron double bedstead in original antique painted finish with dipped rails and brass caps. 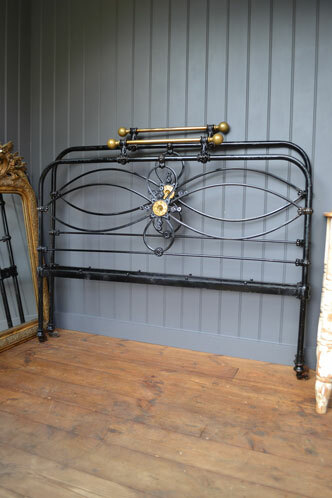 French brass & iron double bedstead in original antique distressed painted finish (Scumbled) with original side rails & castors. 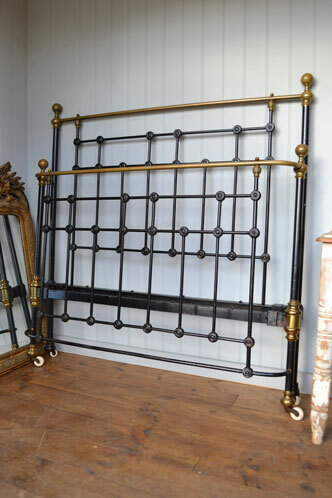 Rare Antique French double brass and iron bedstead in original antique distressed painted finish with original gold detailing . 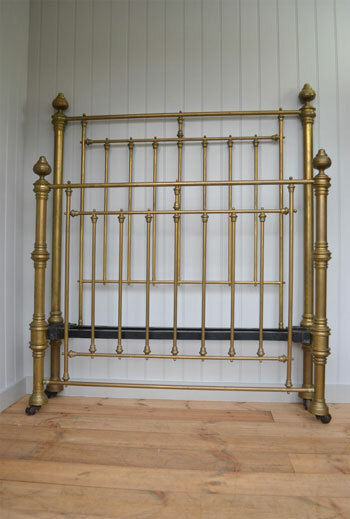 Stunning Victorian brass and iron double bedstead in original antique painted finish with china inserts and brass plates. 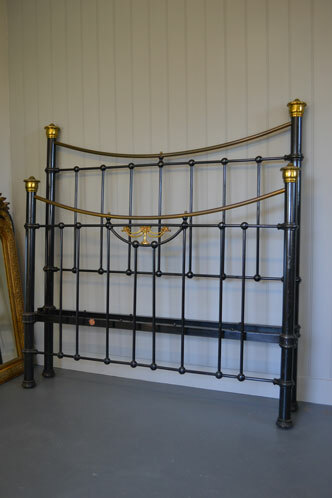 Stunning late Victorian brass & iron double bedstead in original antique painted finish with cut glass inserts to head & foot ends. 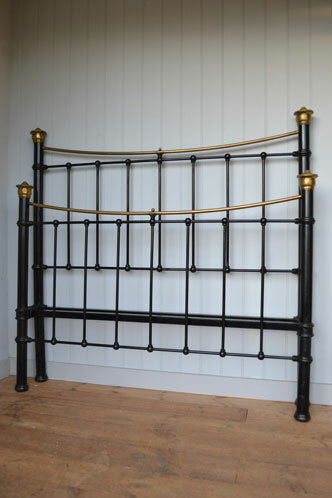 Classic Victorian 4ft 6in brass double bed. 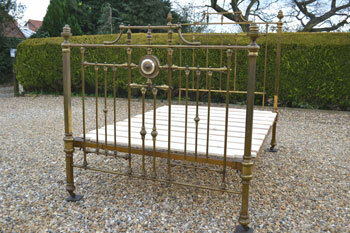 The bed has been sympathetically cleaned and has a lovely antique patina to the brass. 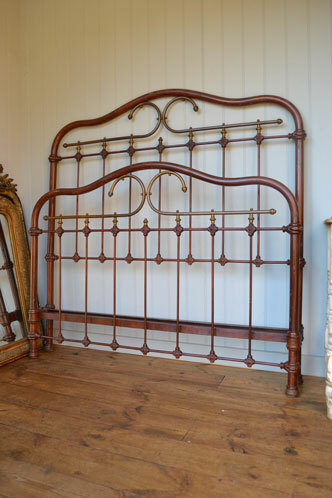 Stunning Victorian 4ft 6in double bedstead. Completely original condition and sitting on original castors. 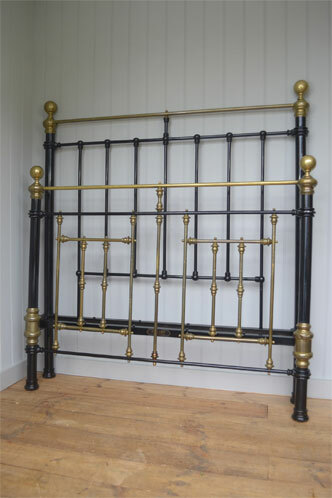 NEW in Stunning very original late Victorian Brass double bed with slats by Phillips of Bristol. 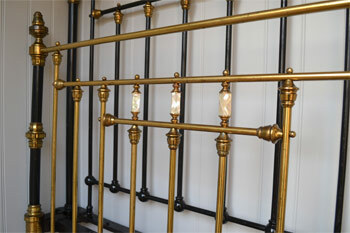 Brass has a super antique patina.